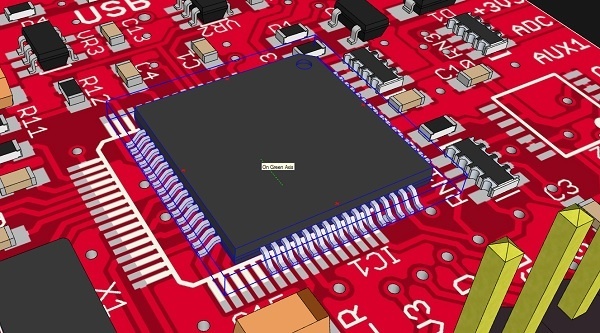 #3DxElectronics – Build 3D models from EAGLE files tutorial @ Dangerous Prototypes #3DThursday #3DPrinting « Adafruit Industries – Makers, hackers, artists, designers and engineers! Build 3D models from EAGLE files [email protected] Dangerous Prototypes. Over the last few weeks we’ve been building 3D models of our projects in Google SketchUp using the EagleUp script. This script makes a 3D model of the board from Cadsoft Eagle board (.brd) files, and populates it with preexisting models of components. Once you have a 3D model in SketchUp you are free to evaluate it, build custom enclosures around it, or interface your model with others. This tutorial will help you build 3D models of your projects. NOTE: Be advised that to build full 3D models of your projects you will have to have models for all your components. Some are available with the EagleUp script, some via the 3D warehouse, and some from our own library.